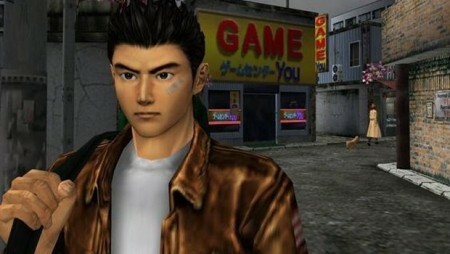 Originally released for the ill-fated Sega Dreamcast back in 1999, Shenmue was a groundbreaking game that was met with much hype and anticipation. Plagued with development problems and delays, it was a title incredibly ambitious for its time while setting the standard for all future sandbox games to come. 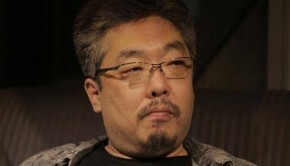 Director Yu Suzuki considered his creation to be a genre of its own. Described as a FREE (Full Reactive Eyes Entertainment), Shenmue was among the first to feature such an intricately detailed open world with a real-time weather effects system. Unheard of in its era, the game’s extensive script was completely voiced acted with every NPC seemingly having something to say while going about their daily lives. It was also famous for its many quick time event segments and in-depth revenge story with protagonist Ryo Hazuki. While the game was met with critical acclaim, poor sales due the miniscule Dreamcast base prevented the series from ever reaching its full intentions. A sequel which had been in the making utilizing the same budget was later released in 2001, but again faced similar low sales. 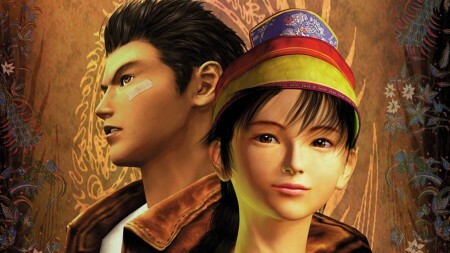 For 14 years, the Shenmue franchise remained unfinished, save for the occasional sliver of hope which arose from non-committal comments by Yu Suzuki. But finally at E3 2015, Shenmue III was confirmed as being officially in development and successfully gathered its funding through Kickstarter. The game is set for release in December 2017, finally continuing the epic saga. To me though, the Shenmue games rank as some of the best I have ever experienced. From the perspective of someone who is half-Chinese, I consider it to be the finest portrayal of Asian culture in a video game. With the possible exception of 2012’s Sleeping Dogs, nothing has come close to Shenmue’s depictions of Chinese (and Japanese) culture. If one ignores the mediocre English dub (stick the original) and slightly dated gameplay mechanics, it’s a gripping tale of how a young man deals with the loss of a father and the ideals of his own culture changing around him. Paired with this is the gorgeous soundtrack composed by the likes of industry veterans Takenobu Mitsuyoshi and Yuzo Koshiro. Along with its innovative technical and storytelling mechanics, Shenmue’s score was similarly ahead of its time. It was one of the earliest games to have cinematic music, evolving similar concepts set forth previously by Hideo Kojima’s Snatcher, Policenauts, and the original Metal Gear Solid. Unlike those games, however, Shenmue used a full orchestra and live instruments in addition to its synth elements. Even now, it remains one of the few video games where the music was composed before any actual gameplay was finished. 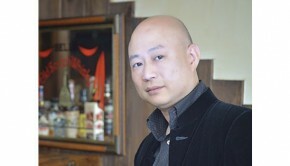 Yu Suzuki wished for the score to be completed beforehand in order to inspire the development team, thus he had an orchestral recording prepared. 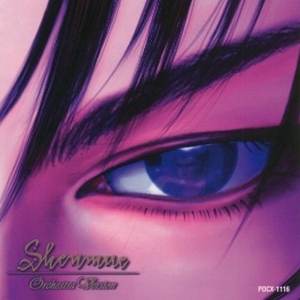 Arranged by Hayato Matsuo, performed by the Kanagawa Philharmonic Orchestra, and later used in the game itself, the result was Shenmue Orchestra Version. 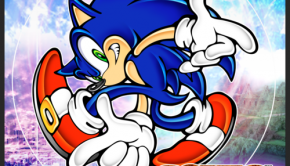 We’ve recently passed the 15th anniversary of the original Japanese Dreamcast release, so it’s only fitting that I cover one of the best video game music releases ever created. Takenobu Mitsuyoshi’s grand main theme, “Shenmue ~Sedge Tree~,” opens the album. Beginning with a delicate melody performed on the traditional Chinese stringed instrument, the erhu, it soon transitions into a sweeping orchestral response. The brass answers with a bold reverb, as the strings provide decoration. 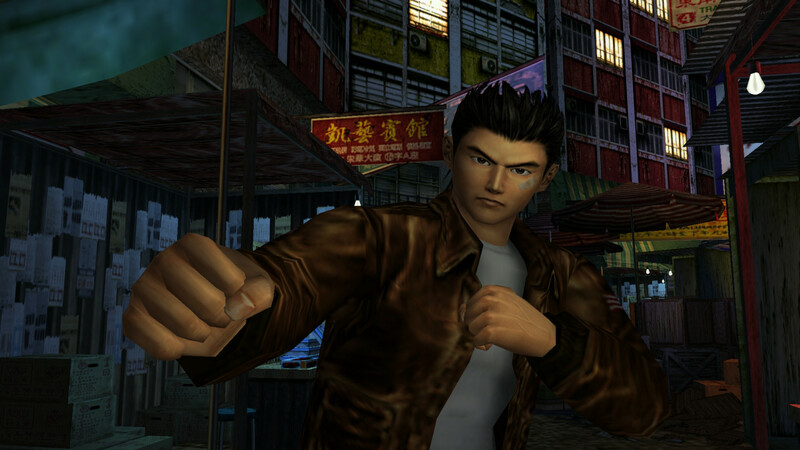 This introductory section captures the vast Oriental environments that the player visits throughout the games, later with the mood soon becoming dire, as if Ryo Hazuki has gotten into fight. The strings and brass play off each other, representing each side of the martial arts battle. A few blows are exchanged and the conflict escalates, but Ryo emerges as the victor and continues on his way. The introductory erhu melody returns and later flows into the same orchestral flourish before ending on a mysterious note. All and all, a spectacular theme that is among the most memorable and recognizable I’ve ever heard. At one point during Ryo’s travels in Hong Kong, he meets Ling Shenhua, a young girl whose destiny is entwined with his. As a sort of contrast to the Mitsuyoshi’s main Shenmue theme, Ryuji Iuchi’s “Shenhua ~Sedge Flower~” is more feminine and songful, but perfectly goes hand-in-hand like the two characters they represent. The motif performed by the erhu is hauntingly beautiful, while the orchestra accompaniment flows smoothly like an echo. Midway through, the erhu gives a hopeful cry, leading the orchestra into its swelling build-up. The orchestra ascends, and allows the main melody to come back in with splendor. Famed erhu player Jia Peng-Fang performs both pieces with amazing technicality and grace, as expected given his professional talent. Tsuyoshi Yanagawa’s contributions to the album are epic and give off large presence. “Everlasting Earth” utilizes Asiatic-like percussion and mystifying choral elements, followed by a brief cue performed by the flute section and brass. A piano melody opens the following section which shifts into a rising string response. The natural green forest landscapes of Guilin are evoked with the strings taking over the motif established by the piano. “Flag of the Lions,” a battle theme, fittingly utilizes choir and booming brass. It’s intense, dramatic, fast-paced, and imagines the conflicts and obstacles which Ryo faces. The percussion spectacularly carries the piece from start to finish. What comes next ranks as one of the most beautiful pieces of music that I’ve ever heard. Used during a key cutscene in Shenmue II, Toshiyuki Watanabe’s “The Morning Fog’s Wave” is a stunning display of the series’ Eastern sensibilities paired with the huge epic scale of Western cinematic music. It begins with a short call from the brass and woodwinds backed with deep percussion leading into the first melody performed on the yangqin, a traditional Chinese stringed instrument. A gorgeous second melody on the erhu follows, responded to by a large rise in the orchestra. Epic and moving, this masterful composition will evoke powerful memories. Tadahiro Nitta’s “The Uninvited” represents the darkest portion of the Shenmue score. It is used during the very first scene of the game when Ryo Hazuki returns home and the events which set the story are put in motion. Players were caught completely off-guard with the high quality and cinematic nature of this particular track when they booted up Shenmue for the very first time. Dissonant tremolo strings open the piece, with new layers of composition being added on as it progresses. Musical elements represent key portions of the scene, such as the weak flutes being Iwao Hazuki’s final breaths, the sinister brass standing as Lan Di, and the brief motif at 2:40 showing Ryo witnessing his father being struck down in a killing blow. The later portion depicts Lan Di leaving the scene, Ryo holding his dying father in his arms, and a dark swelling from the orchestra showing his declaration of revenge. The melody of the next track, “A New Journey,” is hinted at; foreshadowing the adventure that lies ahead. Like John Williams’ scores which tell a film’s narrative apart from its visuals, “The Uninvited” accomplishes this daunting task. 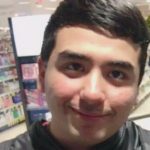 “A New Journey” brings the Chapter 1 Yokosuka chapter to a close as Ryo departs from his home to pursue Lan Di in Hong Kong. A distinct six-note motif is featured heavily in the track, first introduced by the bass and brass. The tempo increases, summarizing the Yokosuka events, but also making it clear that Ryo’s journey is only beginning. The flutes provide a somber mid-section, Ryo reminiscing about all that has previously transpired. Containing the best elements of the series, being both dramatic and action-packed, it sums up Shenmue perfectly. 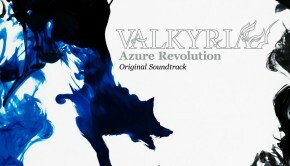 The final track on the album is a vocal performance of Shenhua’s theme. The melody and orchestration is the exact same, but the erhu is swapped out with vocals by obscure Japanese singer Ioli. While I prefer the original instrumental version, her performance is inspired and charming. A great closure to a fantastic musical journey. Shenmue Orchestra Version is, without a doubt, one of the greatest video game albums ever released. Gorgeous orchestrations, epic scale, and melodies which stick with the listener long after they are finished, this is a soundtrack that should be in every VGM fan’s collection. I never tire of the two main themes, “The Morning Fog’s Wave” is incredible, and the rest of the tracks are amazing cinematic pieces. From beginning to end, this is pure heaven to the ears. However, a major caveat is related to the availability of the album itself. Due to Shenmue being in a state of copyright limbo with Sega and its merchandise long out of print, this album is now incredibly hard to find. Prices can go for well over $100 on eBay, reflecting upon its worth, popularity, and quality. Thus, the only option for most people will be through online downloads. Either way, Shenmue Orchestra Version receives my wholehearted recommendation and in every way deserves the masterful score I’ve awarded it. Seek it out immediately. Posted on August 11, 2014 by Oliver Jia. Last modified on June 18, 2015.